What are the gun laws in Texas? Where may you take and not take a loaded handgun? How is the Texas Legislature working to loosen Texas gun laws in 2013? Will guns soon be allowed on all college and university campuses (classrooms, libraries, labs, public spaces) in Texas by law? What has been the effect of the Newtown CT school massacre on the Texas Legislature, as well as state houses in other Western states? 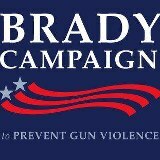 Our guest speaker will be Nina Butts, with the Brady Campaign to Prevent Gun Violence. Nina has lived in Austin since 1977, and founded Texans Against Gun Violence with Bruce Elfant and Debby Tucker in 1993. She grew up in Dallas, and was an eyewitness to President Kennedy’s motorcade after he was shot on Nov 22 1963. She was a Contributing Writer for Texas Observer 1981- 1985, and ran for Congress in the Tenth Congressional District of TX in 1986. Nina was a full time registered lobbyist for Texans Against Gun Violence in 2 sessions of the Texas Legislature (1999 and 2001) and helped initiate the gun law linked to domestic violence that was signed by Rick Perry in 2001. In addition to continuing activism, Nina teaches English at Austin Community College. Come at 6:30 p.m. for snacks and mingling; the program begins at 7p.m. Invite your friends and neighbors – all are welcome.